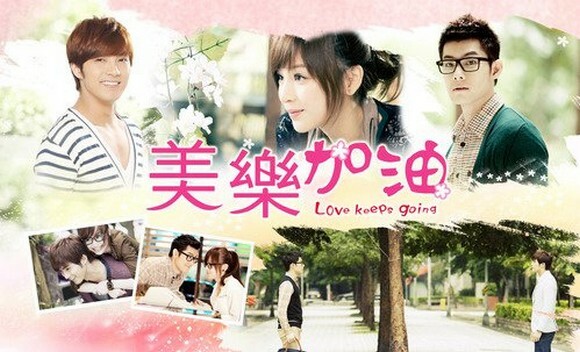 Synopsis: Ren Guang Xi, a cocky law student, seems to lead the perfect life. He’s the sole successor to a huge and famous business and a talented ice hockey player. But in reality, his lonely life lacks joy, laughter and motivation. That is until he meets Liang Mu Cheng, the new bento seller at his school canteen. Although orphaned at a young age, Mu Cheng does not let her past affect her and lives life with great passion and determination. A harmless bet brings the two together and Guang Xi slowly changes as Mu Cheng teaches him how to give and love. Tragedy strikes when Guang Xi suddenly has to go through a major brain surgery which causes him to lose his memory. His mother begs Mu Cheng to leave him and the latter has no choice but to do so. Little does she know that she already has Guang Xi’s child. Six years pass. Mu Cheng lives a quiet life with her young son in the countryside while Guang Xi is now a successful lawyer and is engaged to He Yi Qian, the kind and beautiful doctor who took care of him after his surgery. A strangely familiar piano piece stirs Guang Xi’s heart as he struggles to recall his past romance with Mu Cheng. How will the couple make up for six years of lost time? Happiness, which stop do I alight at? Jang Guan Suk is back!! lolz Co-staring with Yoona of Girl Generation, Love Rain is a sweet story of first love, filled with bitter-sweet memories. Synopsis: “Love Rain” depicts a 1970’s pure love and a love from the present day at the same time. It shows how the children of a previous ill-fated couple, who met in the 1970s, managed to meet and fall in love. Seo In Ha and Kim Yoon Hee, an art student and a shy beauty, met and fell in love with each other during college in the 1970s but unfortunately their love was fated to never be. Now in the present 21st century Korea, Seo In Ha’s son, Seo Joon (a liberal photographer) meets and falls in with the daughter of Kim Yoon Hee, Jung Ha Na, a cheerful and energetic girl who’s personality is different from her mother’s. Will their love for each other keep them together or will they have to face the same fate as their parents? A story of an egotistic guy meeting a girl who aimed to please. A casual comment from her boyfriend on wishing to open a bakery store of their own caused Mei Le to immediately abandon her lucrative job in fiance to pursuit a career in baking bread. But, her boyfriend still dumped her for someone else anyway. Her breakup directly impacted Han Yi Lie. First, her cheating boyfriend was his brother. Second, he worked better after eating her bread and couldn’t function when she stopped baking it. So he decided to help her get over the unfortunate event.